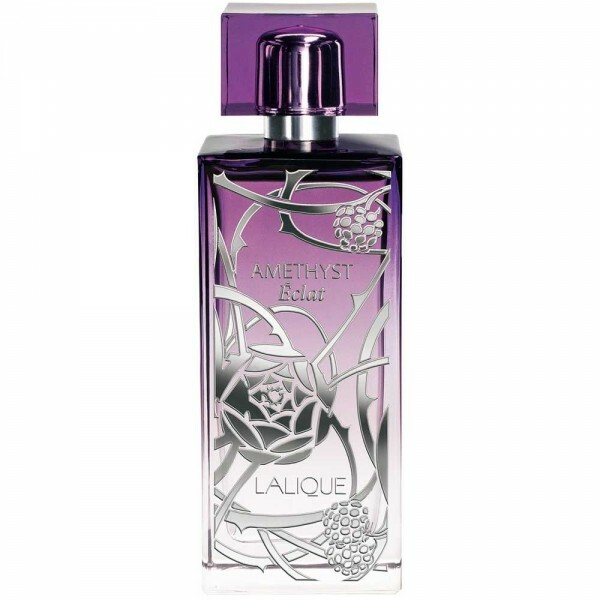 New fragrance Lalique Amethyst Eclat opens with juicy and tart resins of black currant combined with raspberry and nashi pears. The heart of the composition blooms with peony, rose and magnolia, accompanied with warm and elegant notes of Oxalis violace, blackberry and sensual musk in the base. According to cosmeticbussines the accent in the new edition lies on intense notes of peony above fruity notes with musk in a trail.